The latest to private international law through our newsletter. unalex is an international information system on European and International Uniform Law with special emphasis on international private and civil procedural law. The information and factual material of unalex is continuously updated and developed further. unalex is multilingual. Therefore the information provided is identical in the variety of the relevant legal systems for all users. Users can navigate through unalex in five different languages so far. The information offered via the system unalex is prepared and translated into all these languages. The particular unalex language concept aims to facilitate the cross-border acquisition and exchange of information on International Uniform Law. 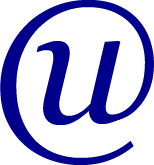 The unalex Compendium, a systematic collection, assigned by articles, with explanations (C) and summaries of principles (L) on selected legal instruments. A direct link with the unalex case collection ensures that the most up to-date Compendium is accessible. Within the context of the EU-funded Project unalex – multilingual information for the uniform interpretation of the instruments of judicial cooperation in civil matters – the information of unalex is currently pointedly being developed further. The Project unalex ends on 31 December 2017. Public institutions, such as libraries, universities as well as bar associations and chambers of notaries can take advantage of the unalex platform free of charge during the project period. Single users enjoy special conditions for the mentioned period. The use for courts of the European Union is generally free of charge. We are looking forward to welcoming you as our user. If the library of your institution – your university, your court or your bar association – is not registered yet, please submit a short request using our registration page to set up accessions allowing you access free of charge. The unalex board of editors will be happy to receive your feedback and will gratefully accept suggestions or hints about sources still not included in the system, short contributions and commentaries on rulings as well as other authors’ contributions. Please send an e-mail to the unalex editorial.